The history of leather is closely merged with the development of mankind. Long before man invented communicating through alphabets, he communicated using simple sign language and drawing on skins of animals. Later he used this skin to shelter and clothe himself. These were known as rawhides. Later, man discovered to preserve their animal hides for a little longer time, using sun drying, smoking & bark extracts. Some raw leather hides were left in water, with some leaves and bark of trees containing tannic acid. This is how the first vegetable tanned leather came out. It is believed that ancient greeks developed this process and it remained a well-established trade in Greece around 500 B.C. 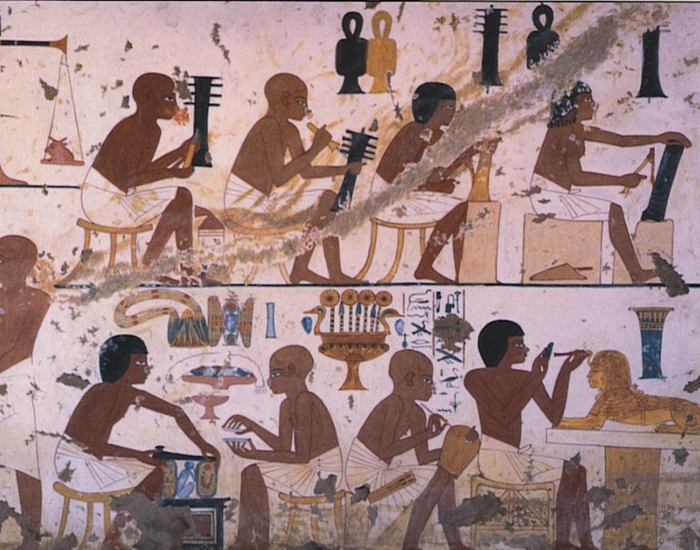 In the past, there were varieties of products and functions of leather in the various civilisation. 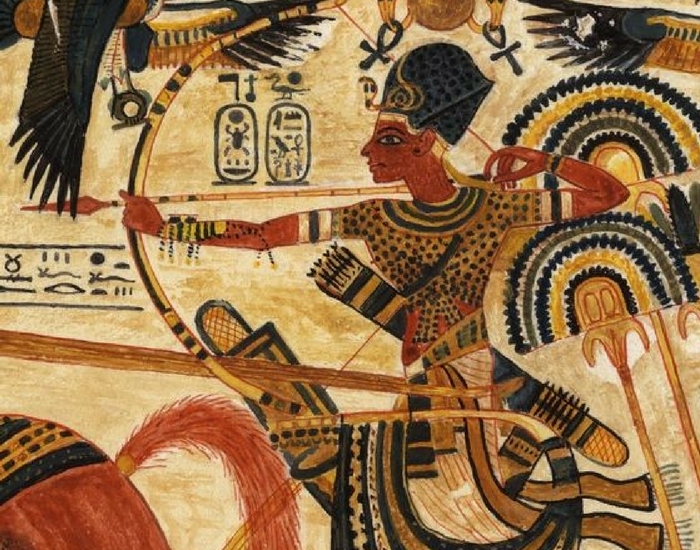 Wall paintings and arts in Egyptian tombs dating around 5000 B.C proves that leather was used for boots, clothing, storage and for military equipment. The Romans made extensive use of leather for clothing, shields, armours and harnesses. They also used leather as currency in ancient times, the quality of Roman Sandals conveyed their status very well in the society. Mongolians used leather covers, flasks masks, and decorative caps, as stated by Marco Polo, in his book "Travels". In Mesopotamia, the Sumerians used leather for long dresses and diadems for ladies. Assyria natives used leather as the container to store liquid and as inflated floats for rafts. Set of tools like, swivel knife, beveler, seeder, mallet, pear shader, camouflage, and veiner, were used to create carvings and patterns on leather. From ancient times to the modern generations, leather artisans have used a variety of techniques and tools to employ leather for various creative as well as functional purposes. Artisans who made these products, typically belonged to leather guildsmen, who guarded their leather crafting skill quite secretly, handling it down from father to son. It was the time when Cortex conquered Mexico in early 16th century when leather craftsmanship came out in the world. The soldiers of Spanish empire brought horses with them by which came the need of saddles and various other horse gears. Leather was also used in combination with wood in seats, armchairs and chairs. 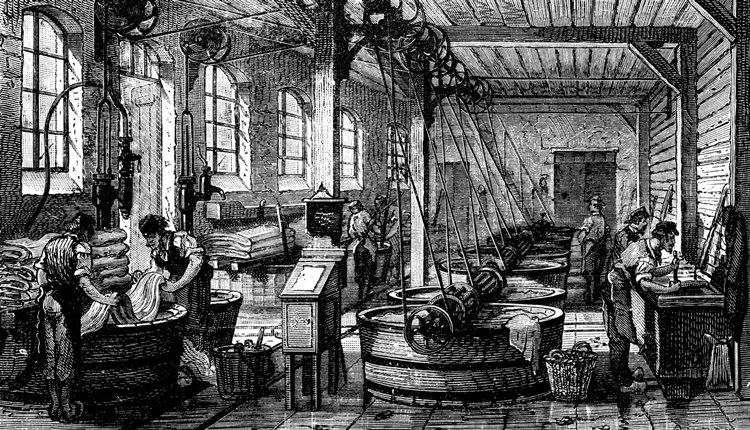 The spread of industrialisation in 18th and 19th centuries created a demand for new kinds of leather to drive machinery. Techniques of leather designs and patterns like leather shearling, that is sheep's skin tanned with the wool attached to it, embossing, chevron pattern and weaving like intrecciato weave are very popular techniques of the modern world and somewhere are the development of the historic use of leather. Intrecciato weave out of these is very popular weaving technique, where the thin stripes of leather are knitted and weaved together to get a beautifully patterned leather. Developed by Bottega Veneta, the intrecciato weave is the signature of this famous Italian brand. Today leather is the most versatile and popular material in all industries. Thanks to a few famous leaders in leather crafts like Christine Stanley, Al Stohlman, Charles Tandy and many more, for developing and promoting this craft. The art of leather tooling and craftsmanship will be enjoyed for centuries.